Constructed from Nylon the K800 series is a non-conductive, non-sparking padlock suitable for electrical lock-off applications. 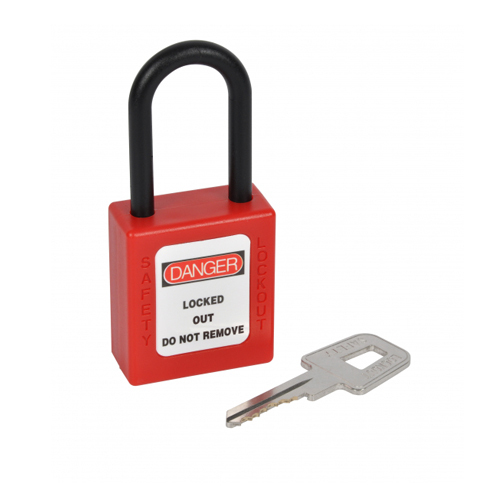 For ease of identification, each lock is supplied with 6 different coloured 'Danger' stickers as well as 'Property of' stickers. Nylon body and shackle - Non-conductive and non-sparking. Supplied with 6 coloured 'DANGER' stickers for identification purposes. Yellow, white, black, blue, orange, red, green. Supplied with 'Property of' white label to enable owner to be contacted .